The European Asylum Support Office (EASO) and the Italian authorities have signed a new Operating Plan which will see the Agency expand its support in the country in 2018. The 2018 Operating Plan was signed by the Executive Director of EASO, José Carreira, on behalf of the Agency, and the Head of the Department of Public Security, Franco Gabrielli, the Head of the Department of Civil Liberties and Immigration, Gerarda Maria Pantalone, and the Ombudsperson of Children and Adolescents, Filomena Albano, on behalf of Italy. EASO has been increasingly active in Italy since 2013 and deploys over 200 staff throughout the country in order to provide support to the Italian authorities. 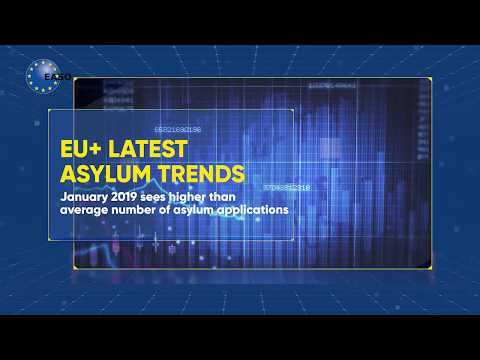 The 2018 Operating Plan will add a new dimension to EASO’s activities by mandating the Agency to have an enhanced role in supporting with the handling of registration of applications for international protection, including through the preparation of files in the National Asylum procedure. This measure aims at relieving some of the pressures on the Italian Asylum System. In addition to the new measures, EASO will continue to sustain the operational and technical assistance it has been providing in 2017. This includes support with information-dissemination and registrations of potential applicants; support with processing Dublin cases; strengthening reception capacity, especially with regard to unaccompanied minors; support in the professional development of the staff of the Department of Civil Liberties and Immigration, within the Italian Ministry of Interior, as well as in activities in the field of COI; and support to the Italian Ombudsperson for Children and Adolescents in implementing protection measures for unaccompanied minors. On 22 November 2017, EASO and the Italian Government signed a Hosting Arrangement establishing the legal modalities through which the Agency’s presence in Italy were formalised. Facilitated by this Arrangement, and in order to ensure the proper implementation of the 2018 Operating Plan, EASO will sustain the deployment of the experts and cultural mediators to Italy and provide the necessary material, technical and operational support.